Kristen Wood fires a pitch. The senior will be crucial in controlling Oklahoma State’s hitting in the team’s NCAA Tournament game on Friday. Northwestern faced a difficult schedule this season, and after falling below .500 early in the year, the team rebounded to qualify for the NCAA Tournament. Now, the Wildcats will have a chance to avenge their early exit from last year’s tournament. Our writers discuss NU’s prospects going into the tournament. 1. The team has had an unquestionably difficult schedule. In 2012, a similarly stacked Northwestern softball team went 27-27 and made it to the NCAA Regionals final where it lost to a tough then-No. 6 Texas team. What will the team have to do this year to advance past the regional bracket? Melissa Haniff: Coach Kate Drohan and the team have built success for themselves through their one pitch, one inning, one game philosophy — and they won’t be changing that anytime soon. Amy Letourneau, the only remaining member of that 2012 squad — who also pitched against Texas — will be a key factor in terms of both her play and leadership. For the Cats, it’s less about worrying what the other team will do, and more about focusing on their own play. In this situation, that means playing gritty defense and preventing big innings. NU is prepared for non-conference opponents, especially because it played some of the toughest teams in the nation to begin its season. For the Cats, it’s going to be about focusing on the fundamentals, staying confident and finishing out seventh innings. Marty Johnson: For NU to make a deep run into the tournament, it needs it’s senior core of pitcher Kristen Wood, pitcher Amy Letourneau and shortstop Andrea Filler to step up. Not only do the three seniors have experience in the postseason, but they also are some of the Cats best players. Wood has been lights out since returning from her injury, while Letourneau has led the team with 14 wins and pitched over 160 innings. Letourneau is also a huge part of NU’s offense, as she is second on the team in batting average (.329), home runs (14) and RBIs (53). And Filler has been even better. She has a team-high 16 home runs and 58 RBIs. Together, Letourneau and Filler accounted for 44 percent of the Cats’ RBIs. Needless to say, if the duo doesn’t produce at the plate, NU will struggle to put runs on the board. 2. Do the Cats have momentum going into the NCAA Regionals despite falling in the Big Ten Tournament? How far can they go in NCAA Tournament play? Johnson: Despite losing to the eventual Big Ten champion, Minnesota, in the semifinals of the Big Ten Tournament, the Cats do have momentum going into Friday’s game. Don’t forget, after being swept by Nebraska at home a month ago, the Cats were sitting at 16-23 and their tournament chances were on life support. But the team rallied in the last weeks of the season, going 9-2 to finish with a .500 record. NU was then able to beat a very good tournament bound team in Ohio State in the quarterfinals. Additionally, the Cats have shown when they stick to their gameplan, they can compete with the best teams in the country (see: Michigan game). A trip to super regionals is definitely attainable for the Cats. Haniff: Absolutely. You’re looking at a team that played hard against a Minnesota squad that would end up beating top-seeded Michigan for the conference title. The momentum is there because the Cats know they can compete against some of the toughest teams in the nation after wins against Michigan, Minnesota and UCLA. Plus, they’ll be looking for blood after losing a close one to then-No. 8 Georgia early this season. In terms of how far they can go, it really depends on the bracket. Once competition gets stronger and stronger, there’s no telling what will happen. But for the Cats to go far, their seven seniors will have to step up at the plate, and Letourneau and ace Kristen Wood will have to be at the top of their game on the mound. 3. What is the biggest question mark for the Wildcats going into Friday’s game against Oklahoma State? Haniff: Right now, it’s looking like the biggest question mark for the Cats will be preparation. Although the Cats may not have been consistent on both sides of the ball throughout the season, they are extremely consistent when they need to be, especially in conference play and the postseason. However, NU will be facing an Oklahoma State team they aren’t super familiar with, which will require immense preparation especially as the team shores up aspects of its game in practice this week. It will be imperative for the Cats to keep committing errors to a minimum throughout the weekend, as well as making sure their defense is at its best on the field. Johnson: For the Cats, it will really be about which team shows up. NU has been up and down with its consistency on both sides of the ball this season and as a result, it ranks in the middle of the pack in the Big Ten in most statistical categories. That being said, the most glaring problem for the Cats is their fielding. 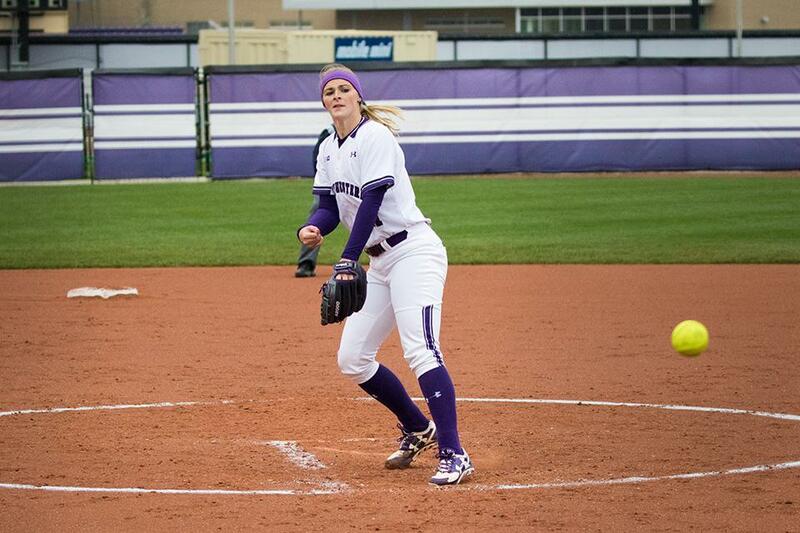 NU was fifth in the Big Ten in errors this season with 65 and 10th in fielding percentage with a .957 mark. When the Cats committed an error, they were 17-17 on the year and when they didn’t, they were 10-5. On the flip side, NU did turn the most double plays in the conference with 29, so it’s not as if the team can’t play at a high level in the field. Something that will take pressure off the Cats’ defense is their pitching — their main strength. Wood, despite being hurt for much of the season, ranked fourth in the Big Ten in ERA at 2.12 and Letourneau posted a strong ERA of 3.00. If the potent duo pitches as well as it did against Purdue two weekends ago, NU will be in good shape. 4. How does NU stack up against the Cowgirls? Johnson: It’s all about the offense for Oklahoma State (29-24, 6-11 Big XII). Despite having a winning record, the Cowgirls finished fifth in the Big XII due to their poor conference mark. But as a team, they hit a robust .305 — good enough for third in the conference. Oklahoma State’s average can partially be attributed to second baseman Vanessa Shippey. Shippey was the best hitter in the conference this year and was named Co-Big XII Player of the Year. But the Cowgirls depth extends far beyond just Shippey. Oklahoma State has four other players that are hitting above .300. Wood and Letourneau will have their hands full with their opponent’s batters. The good thing is that the Cowgirls pitching staff struggled all year long, with a pedestrian ERA of 4.89, while opposing hitters scorched the staff for a .296 average. As long as the Cats pitching can keep the potent bats of the Cowgirls in check, NU’s offense should be able to do some damage against Oklahoma State’s hittable pitching. Haniff: Although the Cowgirls currently have a 29-24 record, their season in many ways mirrors the Cats’ season: losses to begin the year, a solid stretch down the middle and big wins in conference play. Plus, the Cowgirls have similar power and speed at the plate. However, NU’s advantage will really come from its core pitching staff of Letourneau, Wood, junior Nicole Bond and freshmen Kenzie Ellis and Kaley Winegarner. The five-pitcher rotation has been phenomenal this season with a combined ERA of 3.91 — lower than the ERA of Oklahoma State’s best pitcher. The staff has often been the difference maker against tough offensive teams like Michigan and Minnesota, and the Cats will be looking to capitalize on their depth on the mound against their opponents in Athens and beyond.